It is currently 5.55am, Swedish time, and im sipping on my coffee and getting ready for the day, and also trying to not worry about my exam which will start in just a few hours. Surprisingly im not so worried and havent over worked myself either, though thats mostly because of anxiety and i havent had the energy to "over study"... but i feel ready for the exam. Ready to get it over with and to start my weekend!! First up its my exam, then going present shopping with some of my friends for another friends birthday, and then i need to get some things for myself using a present card ive had saved for several months now. 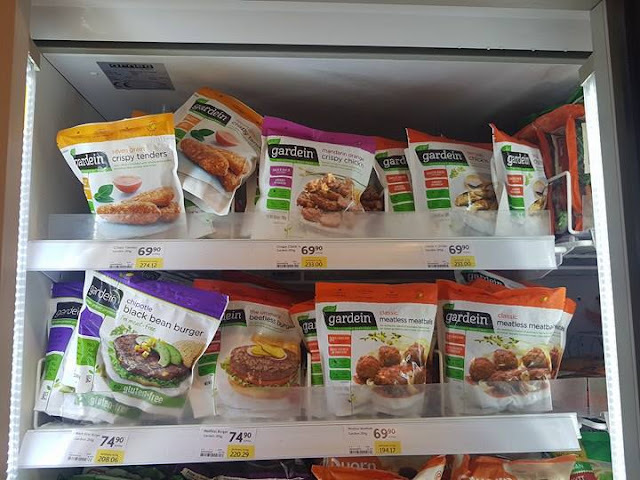 (Though if i know myself i most probably wont buy anything as i'll just deem it as a waste and unnecessary shopping -_- ) And then for lunch today i am finally going to try a Gardein product which is now being sold in Sweden. Its not the most economic product to buy so it feels like this will be my first and last time buying the product, but as it will be my post test, post anxiety, pre weekend lunch i thought it was worth it. Also i always feel that i HAVE TO buy new vegan products and try them!! I will update later when i have tried them! Then this weekend its a vegan expo type of thing with different seminars and stands with just vegan products, so going to that with friends and my room mates. And then its also party time and maybe a vegan breakfast buffet, depending on how i feel Sunday morning... nothing is decided. I am pretty sure this weekend will fly by and before i know it it is Monday again and the start of a new course! Yesterday was actually a rather good day so i thought i would list my positives from yesterday! - Got to pet two of the cutest dogs yesterday morning while in the elevator. - In the afternoon i also saw the cutest golden retriever puppy and i am hoping next time i see the puppy i will have the courage to ask if i can pet him/her as well! - Got to meet and talk with a few of my friends i havent seen in a while as we have been in different groups during the cooking classes. (Also i have this habit of doubting that people like me, but days like yesterday when you meet a friend in the streets and just stop and talk for a while and realise that the person didnt try to rush off, but actually wanted to talk to me. And the same when i sat and was studying on my own and 2 friends walked by and stopped to talk for a long time and just catch up... its kind of nice to realise that i do have friends and that the voice inside my head that says "no one likes me/i have no friends" is infact not true. -Talked to my sister on the phone again after a week! Felt good to catch up with her again... our schedules and lives recently have meant that we havent been able to talk recently and instead just random snapchat pictures. 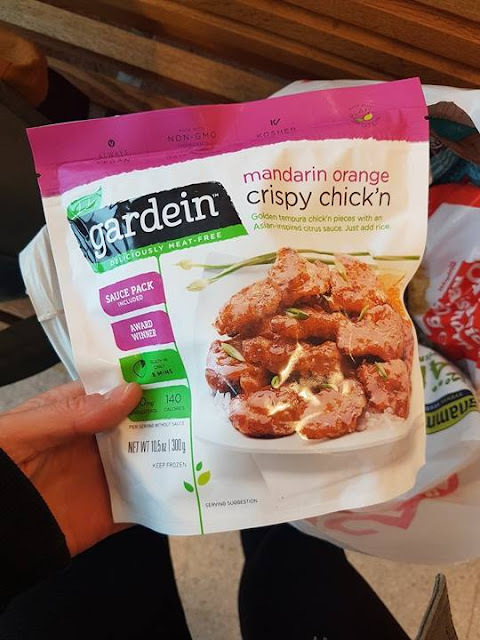 - Bought the new Gardein product as well as food shopping for a few days... ive felt rather uninspired towards food shopping and cooking so it felt good to just get it done! - The simplest of dinners can be the tastiest of them all. Just green lentils and redlentils cooked with garlic and and potatoes and vegetables, and then when its all cooked together add oat cream and (of course!) peanuts and salt. Sounds strange but this is one of my favourite comfort foods and so tasty - also recommend fresh bread along with this meal but i had finished all my bread the day before. And then a positive from this morning... despite it being early, despite having a test soon. I woke up feeling good - somewhat energized and more like myself again. Ready to tackle the day!!! So i am going to make the best out of today and hold onto this positive feeling! I wish you all the best for today, and feel free to share some of your positives of the day/week below! Despite already being on flea prevention my cat has ended up with fleas - so I spent yesterday evening painstakingly fine tooth combing her to try to remove them - much to her disgust! Today I phoned the vet to arrange for her to have a flea prevention injection rather than the usual drops and was told they couldn't see her for a week! So it was on the phone ringing round to try to find a vet that could see her sooner. Finally managed to find a vet that would see her today - so that is my positive to come out of all this. No more scratching - by her or me!! Hey girl! 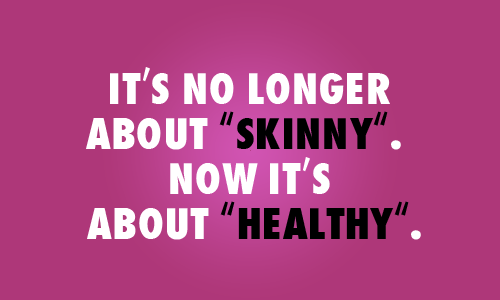 Just really don't be so insecure. There's literallyno need for that. OF COURSE people genuinely like you. I even dare to say I bet they love you. Because youare loveable girl! And you deserve to think positive about yourself. Just like you deserve togo out and buyyourself some nice new clothes or whatever you want from that coupon you still have laying around. Anyway; hopefully this little pep-talk will help a little. I truly mean what I say though. Have a good weekend and Ihope your test went well! Hope your test went ok for you - put it behind you now and just make the most of your free days!